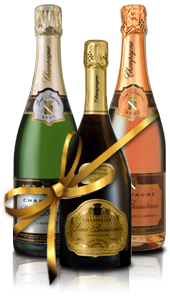 With the presence of 30% reserve wine you get a regular and harmonious Champagne. 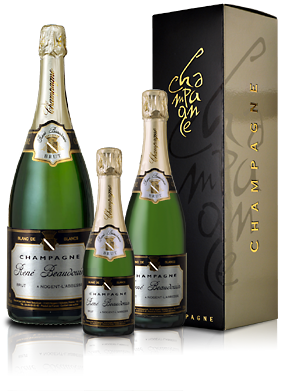 For all sizes greater than the Jeroboam, do not hesitate to ask Council by telephone to the +33 3 26 03 20 60 or by our contact form. A reflection or yellow aged out an intense scent of woodlands ripe fruit. Assembly of the finesse of Chardonnay and the power of black grape in fact a unique Champagne. 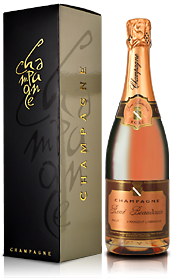 Champagne spirits, Ratafia is a delicate alliance of grape transferred with Marc de Champagne and the champagne wine spirits. 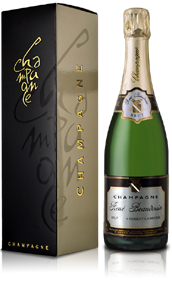 On the nose, It reveals aromas of prune and gingerbread ; in the mouth, It reveals hints of honey and candied fruit. Ideal as an aperitif, it gently blends with the finest dishes. Ratafia is the champagne, What is the Pineau des Charentes, the knob to Normandy, the Macvin in Jura and Floc, the Gascogne. 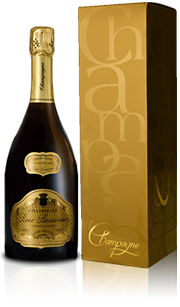 More than an aperitif, It beautifully accompanies the delicacies and sublime smoothness of the chocolate cakes. NB: Our expeditions are cardboard from 6 ,12 bottles and 12 or 24 half bottles. Click "ORDER", to mean your billing address. Mean if different delivery address. A confirmation of your order will be sent to you in return.